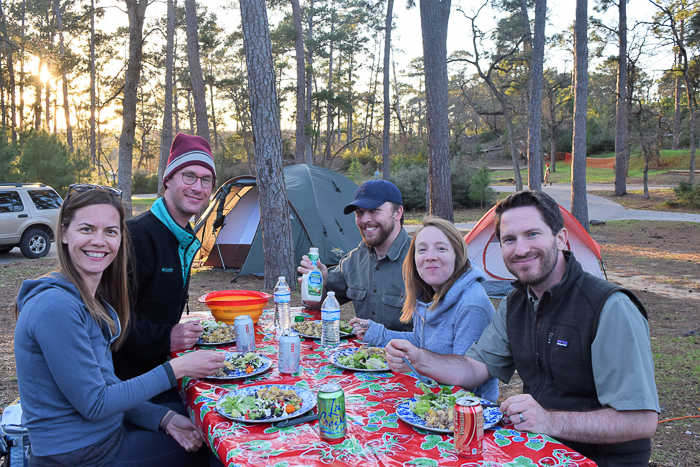 We just got back from a fun weekend of camping with friends at Bastrop State Park! 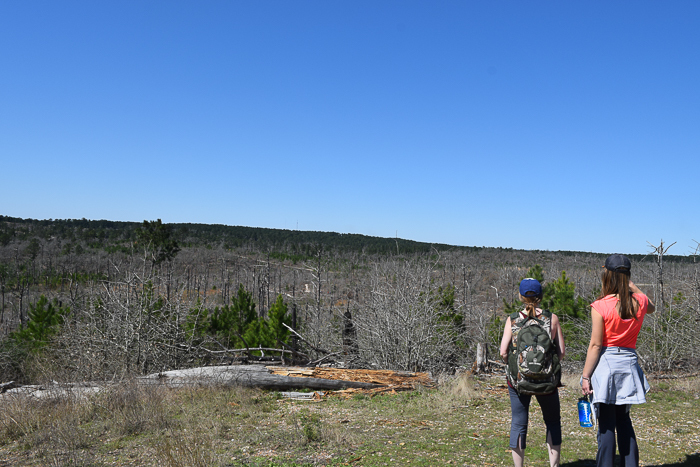 This park is a beautiful, unexpected pocket of pine trees about an hour from Austin, handy for day hikes and camping trips. Helpful information for planning your visit to the park can be found at the end of this post. These are the McCrackens, two friends we know through Texas A&M and church. 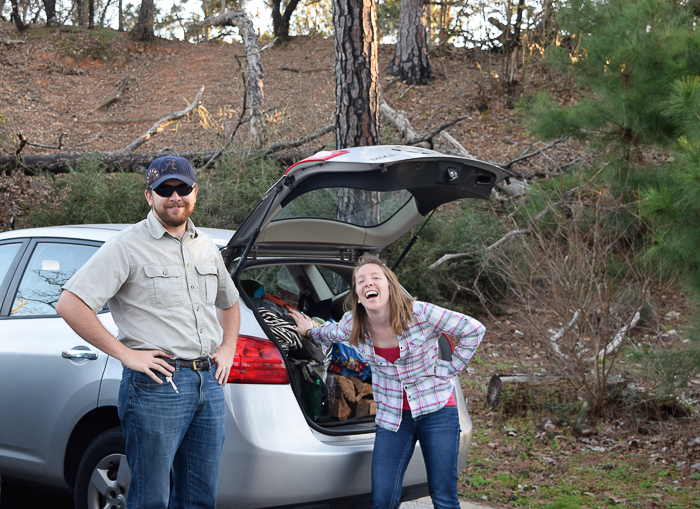 Erin is a blog reader and so supportive of all my Whit’s Wilderness ideas, events and shenanigans! Not to mention she takes on the outdoors with joy and class, so is a true Whit’s Wilderness woman. These are our other friends, the Whitney’s. (Obviously, their name is a fit here in Whit’s Wilderness.) We know them through church as well. Drew and Brandon have bonded over their love of fishing and their shared opinion that Die Hard is a Christmas movie. 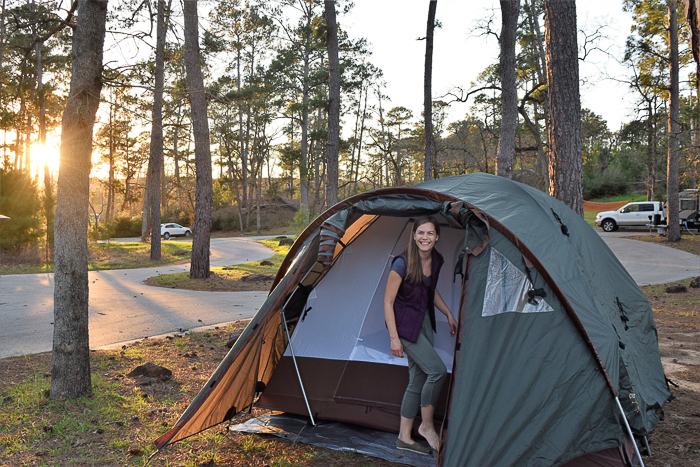 Jessica is a joy to be around, and is new to Texas so I loved the chance to show her Bastrop State Park. 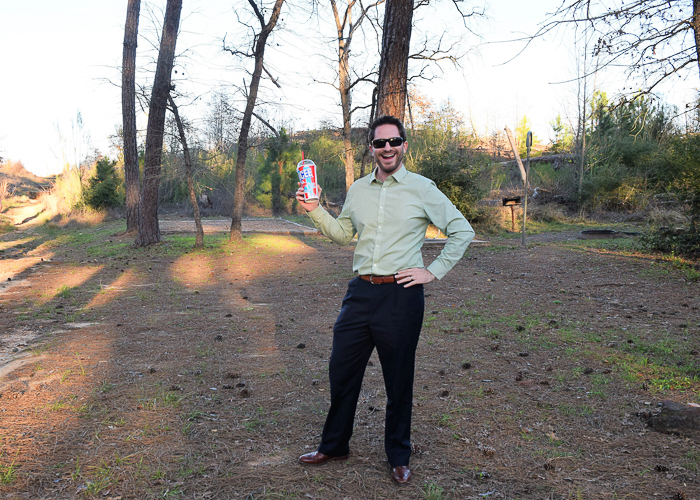 I picked my husband Brandon up on the way out there, and he was still in his pinstripe slacks when we arrived. Easily the snazziest camper in the park. 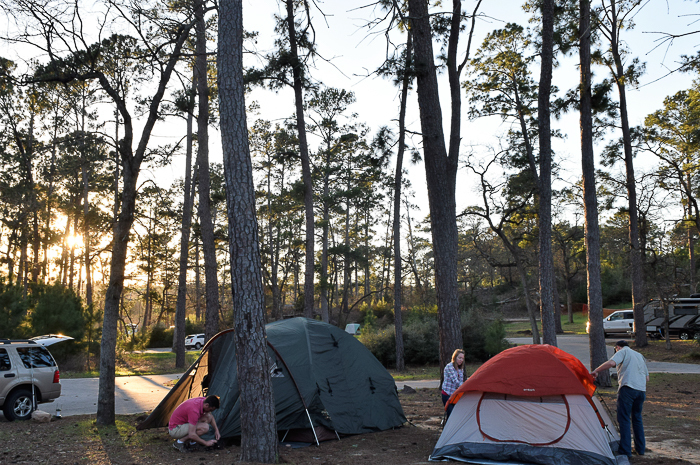 Our campsite was at the Copperas Creek campground, surrounded by pines, with electricity and water at each site. We had campsite #55 and it was perfect, a lovely little spot with hills and trees surrounding three sides. First order of business was setting up the tents. 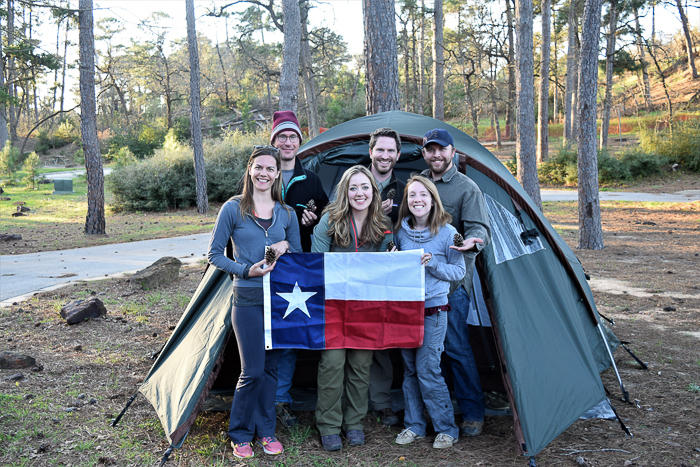 The McCrackens borrowed our tent last year for a long camping trip at Palo Duro Canyon, and on day 1 they watched, in horror, as it got picked up and ripped apart by a wind storm. After that experience, they googled “Bomb proof tent” and found the tent you see in the above photo. 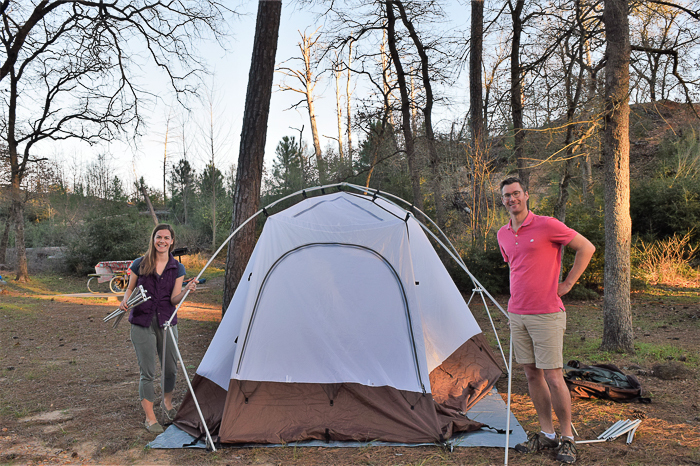 It may weight 60 pounds, but no wind storm will ever ruin their camping experience again! One of the things I loved about Bastrop State Park was the stars. Even though we technically could hear the highway and knew we were only 50 minutes from town, the stars put on a show as if we were hundreds of miles from civilization. Looking up into the starry sky was only made better by the pine trees that towered overhead and framed the night sky. The next morning, the Whitney’s made us delicious sausage and egg tacos. 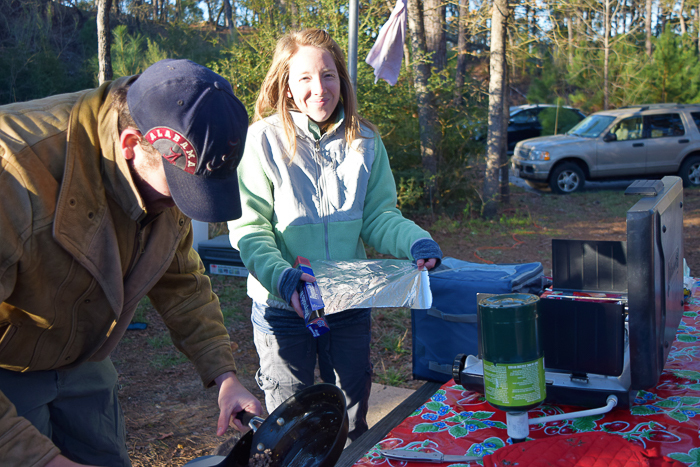 Split up the meals if you ever go camping with friends! It makes life easier. 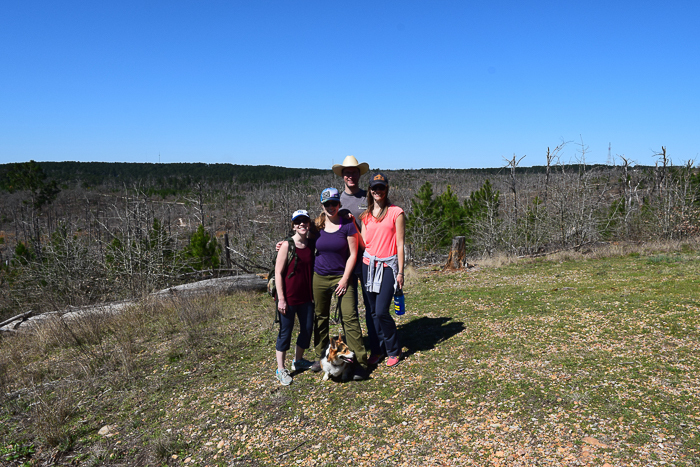 Another wonderful perk of Bastrop State Park is the Master Naturalist volunteers that lead guided hikes every weekend in Spring and Summer. 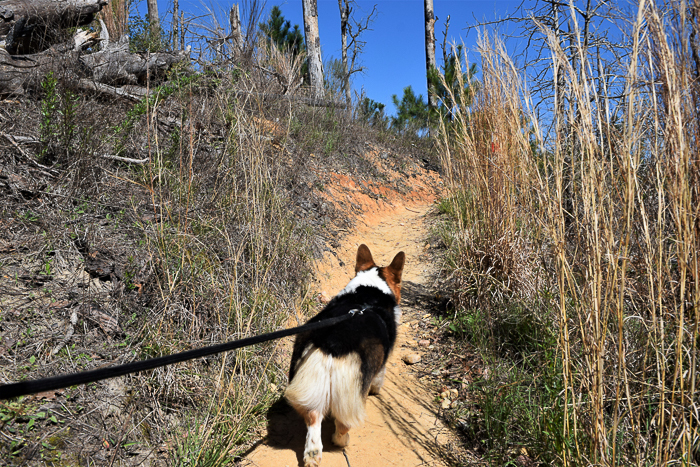 Check out the Bastrop State Park Facebook page for updated hike listings. 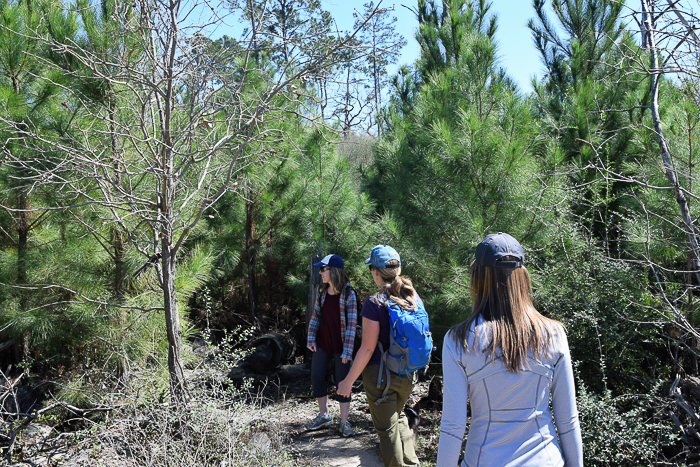 Being wildlife and nature-loving people, we joined up with the naturalist for a guided hike to see the beautiful pine trees. Now would probably be a good time to mention that the largest fire in our Texas’ history occurred here in 2011. It was so hot that flames rose into the air for over 100 feet and melted vehicles and machinery into metallic puddles. Embers, so tiny they were imperceptible to the naked eye, floated through the air and spontaneously combusted whatever they touched. 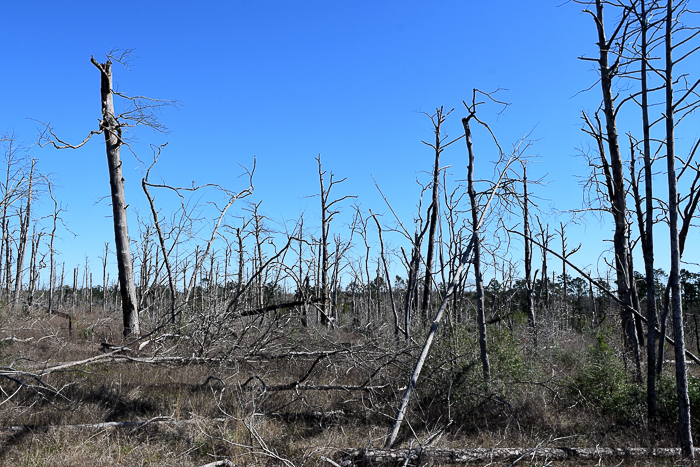 The park suffered over 90% tree mortality, devastating to the once beautiful stand of loblolly pine that had inhabited this area for over 18,000 years. But there is good news! 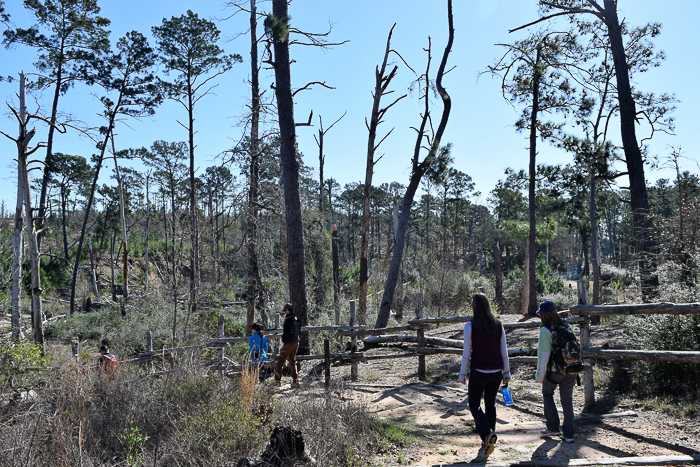 It just so happens that an Aggie had saved a bunch of Loblolly pine seedlings from this area for research. At the time of the fire, he was storing them in a local grocery store refrigerator. So when the fire happened, guess where all the new seedlings came from? Thank God for professors and their research projects! Already, thousands of baby pines have been planted and more are springing up from the ground naturally. 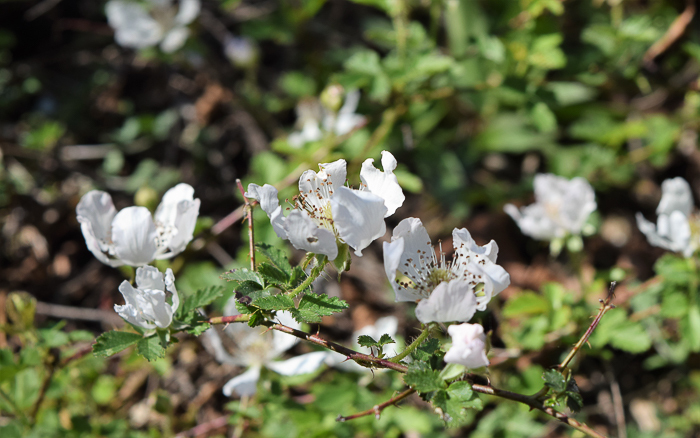 By now even wildflowers are returning, and dotted the trails along our route. Would it have been more beautiful to see this land covered in pines? Yes. 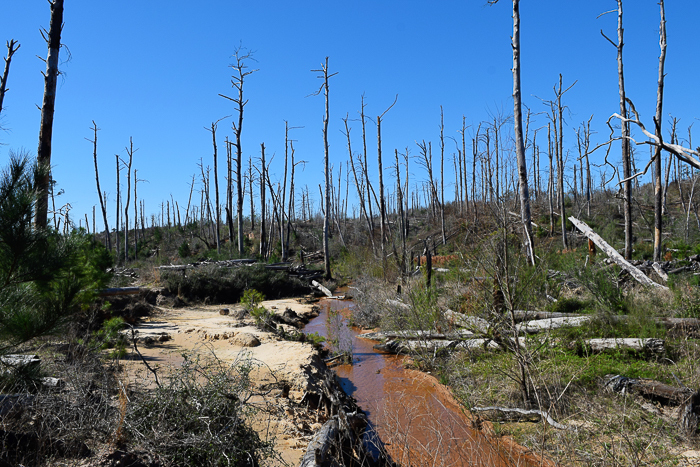 But seeing unhindered Mother Nature at work, both in the magnitude of destruction and the remarkable rebound was an experience I couldn’t replace. So many of our gardens and parks are pristine, man made, or controlled, and it can be hard to remember that nature is inherently wild. It’s good for us to see parts of the world that are still wild. Despite the fire, there are STILL gorgeous parts of the park. The rolling terrain was a great work out. My favorite stop was the scenic overlook. We could see for miles, and there was a bit of history there too! 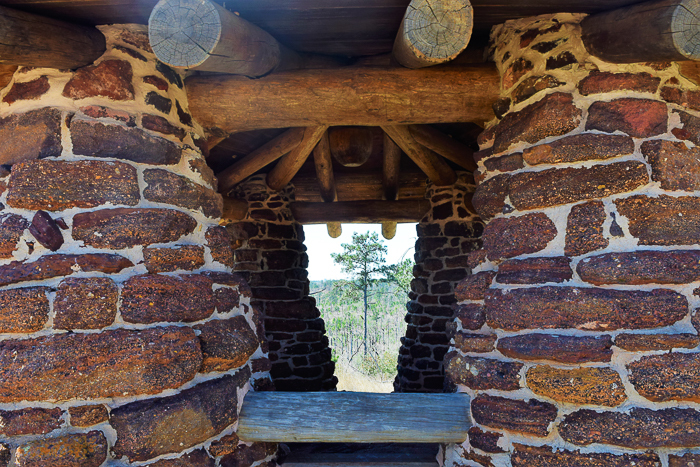 The Civilian Conservation Corps (CCC), one of President Roosevelt’s first New Deal programs back during the Depression, built beautiful buildings, fences, wells, dams, and other structures in parks across our nation. Here at Bastrop, you can enjoy the shade of a pergola built in the 1930’s by the CCC out of stone found in the park. 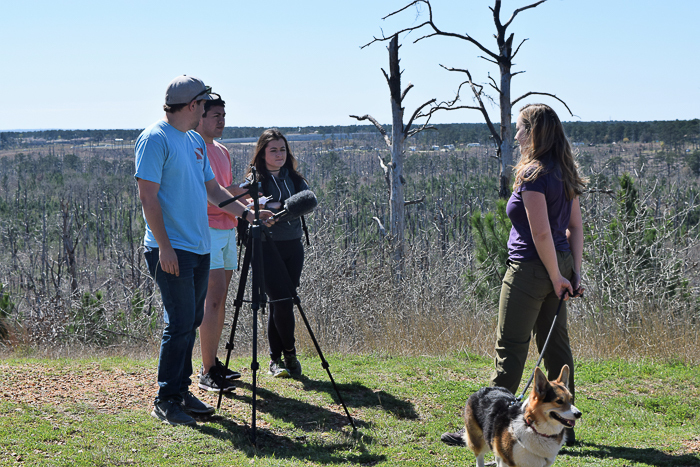 It just so happens that we ran into a crew of students from Texas State University interviewing people for Texas Parks and Wildlife TV. 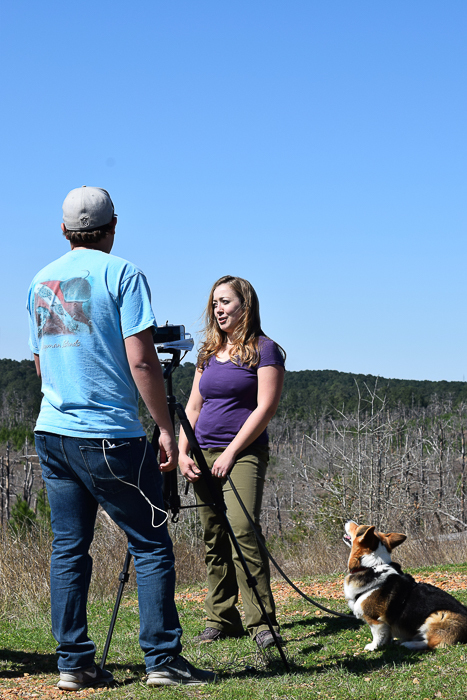 I got interviewed, y’all! If it makes it on TV I will let you all know. Lots of hiking means lots of eating, and so I cooked venison mac ‘n cheese in the Dutch oven. 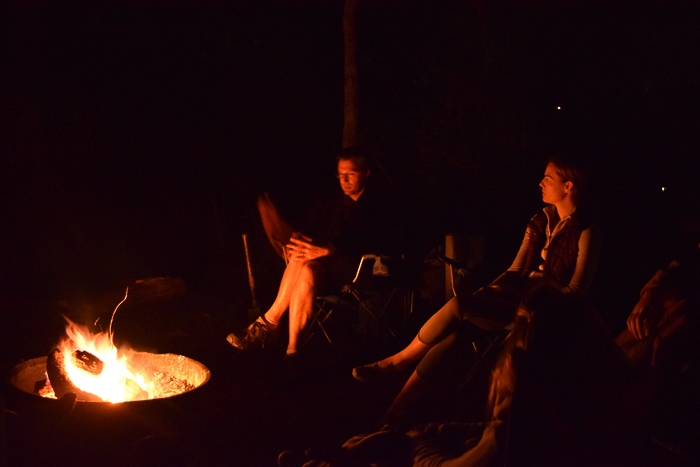 We followed it up with s’mores and I have some new break throughs in the world of s’mores that I’m excited to share. We took them to a whole new level this weekend, y’all. Last but not least: the bathrooms were AWESOME, so clean and pretty. I couldn’t have asked for a better camping crew. 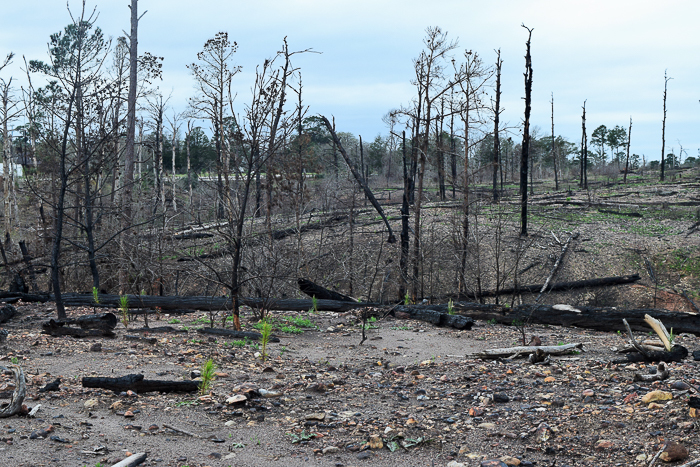 We’re grateful for the regrowth and rebirth we saw in Bastrop. Trees that were planted 5 years ago are already 5 feet tall, and I know we will be showing these desolate pictures to our grand children some day. They won’t believe that the pine forest they know was once a desolate, barren land of burned logs. Nature is always adapting and reforming itself and we are fortunate to watch the natural beauty unfold. Roadhouse, just outside the entrance of the park: GREAT burgers and chocolate milkshakes! 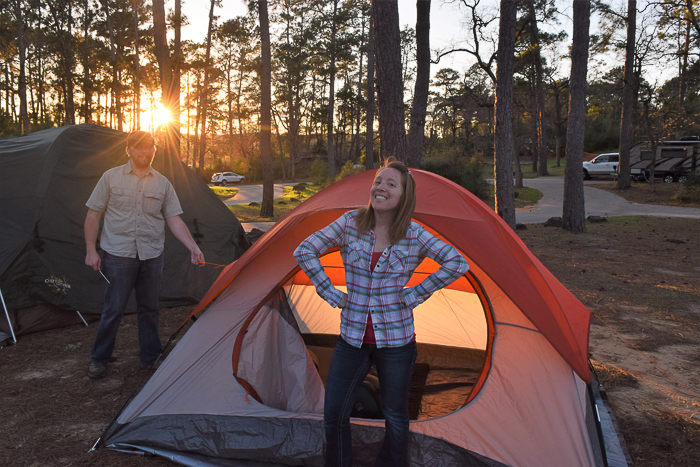 2 Replies to "Fun Camping Adventures at Bastrop State Park"
Aww looks like you guys had fun! Splitting up meals is a great tip for group camping, I’ve never thought of that just always been on ‘every man for them self’ type set ups. Btw venison Mac and cheese sounds delicious!